Why Does My Password Never Work? Has this happened to you? You’re settling in for a nice long session on CALI to study (or maybe you’re a professor getting ready to create some LessonLinks.) You go to log into the site and….password denied. You try again. Password denied. And again, this time typing slowly so you know you hit ever key correctly. Password denied. You reset your password, but that is a temporary fix since it happens every time you visit CALI. Trust me, if it was something with CALI’s website, we’d fix it ASAP. Unfortunately, the issue with your browser. Specifically, your browser’s cookies. No, I know…how can something called “a cookie” be bad? (Besides for our waistlines or blood sugar numbers.) Well, they’re not bad in and of themselves. You actually need browser cookies to use CALI or Amazon or thousands of other sites on the Internet. 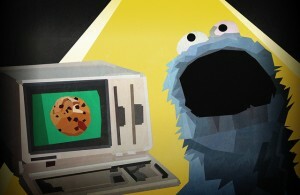 Cookies send data back and forth between a website and your browser. The problem happens when you’ve changed your password but your browser thinks you’re still using the old one. Even if you retype it and don’t rely on a “remember my password” autofill, the browser cookies will use the old one. Fortunately, the solution is very simple. Just clear your cookies. Then open CALI.org and log in using your password. Everything should work smoothly.